All Novia breather membranes have the relevant approvals and meet the required CE standards. Please click on individual products below for further details. Breather membranes allow insulated structures to easily release excess moisture vapour into the atmosphere and keep the internal components of wall and roof structures dry, whilst performing the task of a secondary protection membrane and preventing penetration by external environmental impurities such as dirt and rain. These types of membrane are installed on the cold side, or the external side of the insulation beneath the main outer building lining, roof-tiles or cladding. Another way to look at the way these products operate is to understand that their key function is not just to allow a building to breath, despite their name, as a building would happily be very breathable without any membrane in place at all. However if no membrane was used, then externally generated impurities (wind-driven rain and dust) may penetrate the wall or roof internal structures causing damage and poor performance. The job of a breather membrane is to stop these impurities from adversely affecting the building, but in order to carry out this task without suffocating the building, they need to be breathable. If polythene was used, for example, as an external protection lining, then this would make a great barrier against adverse external environmental conditions, but naturally occurring moisture produced from within the building would quickly become trapped in the interstitial layers causing untold damage. Breathable membranes for walls tend to be of a generally lower specification than those used within roofs due to the nature of the application. Normally a roof breather would also be suitable as a high specification wall breather, but a wall breather would almost certainly not be suitable for use in a roof. Most of Novia breather membranes can be used in external air-leakage applications within insulated walls; Ultra, Black, Black Pro and Reflex (reflective breather) are suitable for external air-leakage applications within roofs. 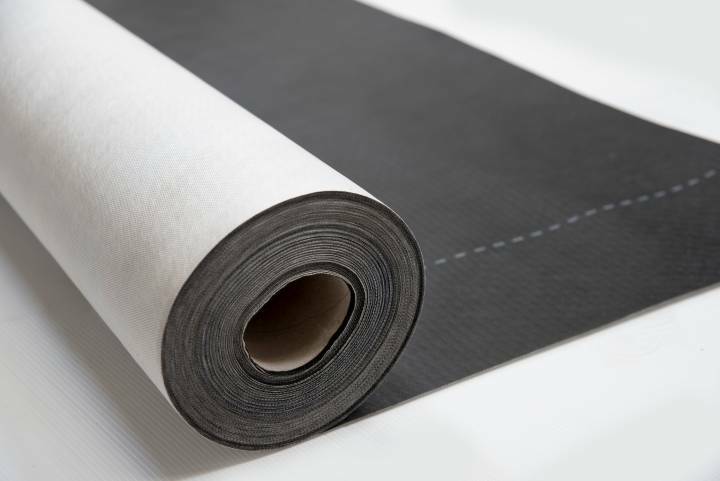 Although Novia Black Construction Wrap is CE Approved for use in a roof application, we do not recommend this due to the size and weight of the roll. Improved U and R values can be achieved by installing the Novia reflective breather membranes. Available as two different products, each offer slightly different characteristics. The smaller Novia Reflex roll is easy to handle, while our Novia Reflex XL is perfect for wrapping round houses for fast installation. Please see individual product pages for additional information. For information regarding to BS 5534 wind uplift testing, please see individual product pages for detailed information. This information includes the requirements for overlaps, batten gauges and zone suitability where relevant. Aluthermo RoofReflex® is a recent addition to the Novia breather membrane offering. Glued to Novia Reflex breather membrane, the Aluthermo insulation creates a fully airtight insulating breathable membrane, which can add up to 1.47 R value. More information can be found on the full product page here. Our breather membranes are available for specification via NBS Plus and NBS Create software. Full information for these products can be found for NBS specification with the table below. The links will open a pop up window with full specification information. Interested in the Breather Membranes range?